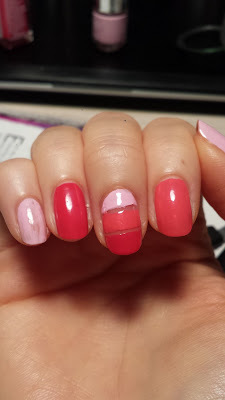 I was trying to play with different shades of pink in one manicure here. 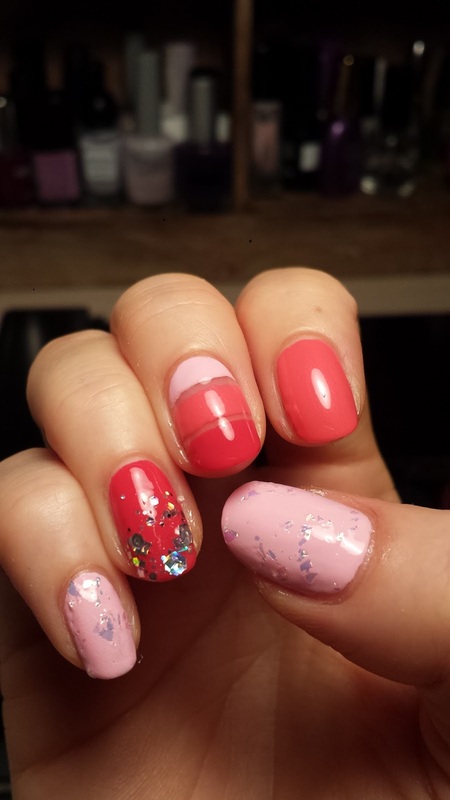 I used a light baby pink, a medium and a darker pink. 3 different shades in total. 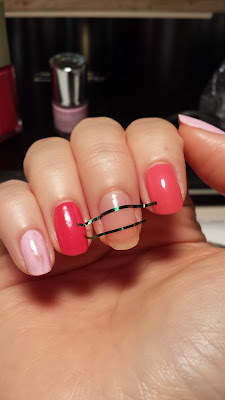 On the middle finger, I used the nailart tapes to separate the nail into 3 sections. 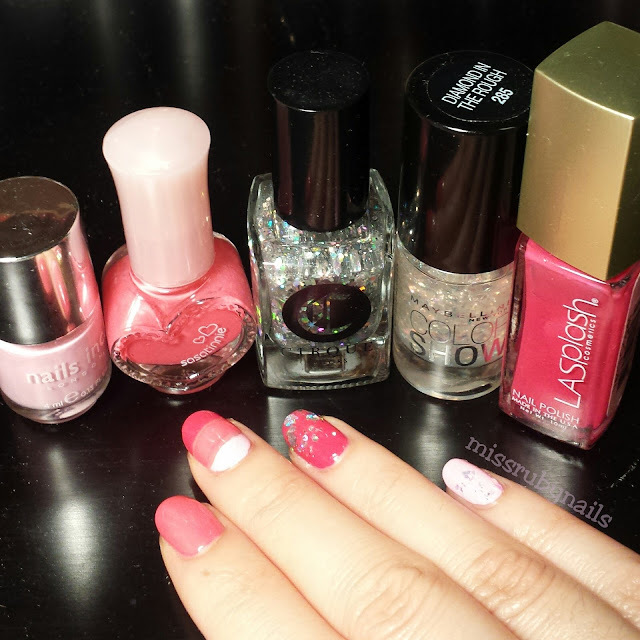 I then painted each section with the 3 shades of pink polishes using 2 coats. 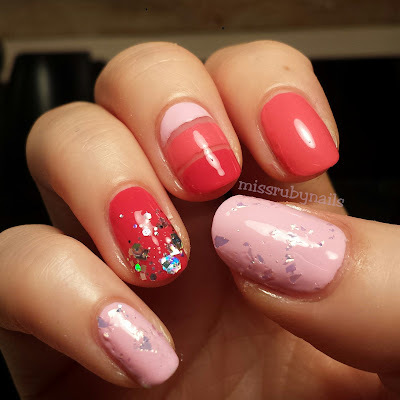 Click HERE and HERE to read more about tips and tricks using nailart tapes. 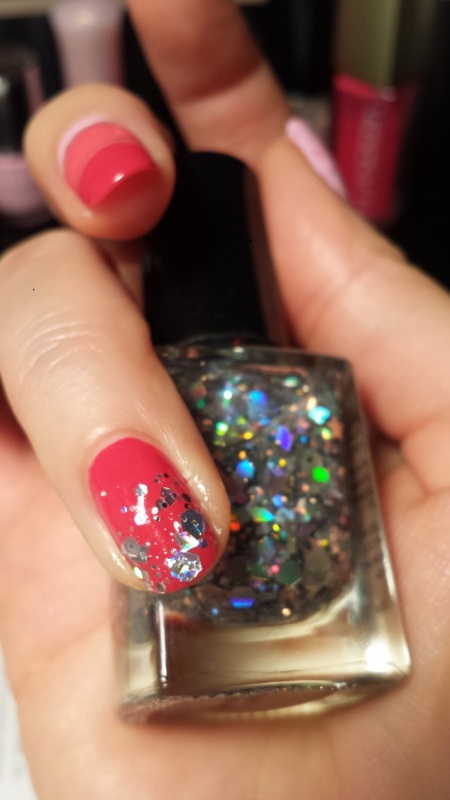 On the other pink nails, I simply added different types of glitter on them because glitter makes everything better right! ?